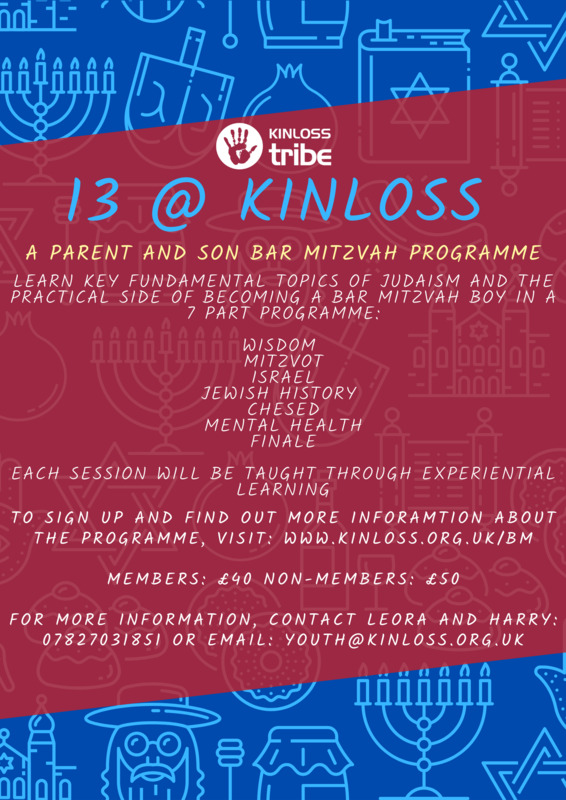 We are offering parents and sons the opportunity to come together over five sessions where we will be focusing on specific aspects of Jewish life that are key to becoming Bar Mitzvah. The cost of the programme is £30 per bar mitzvah boy. In this session Sofer Bernard Benarroch will take us through the process of how Tefillin are made and then we will have a workshop learning the Mitzvah of Tzitzit and how to tie them. On this occasion we will be guests at the GIFT warehouse where we will be packing food parcels and brainstorming chesed opportunities that we can all participate in. Coming together in the Liora Graham Beit Midrash we will be learning in pairs (chevruta) Mishna and Gemera, understanding the importance of learning Torah. Hosted by Ian Kamiel of Boys Town Jerusalem UK, we will be exploring our relationship with Israel and how we can connect our simchah to the Holy Land. Joining Rabbi Lawrence as we learn about the importance of being part of a Community and discussing the definition of Bar Mitzvah.